According to J.D. and several other places I’ve seen, Credit Card Companies are Being a lot more pro-active about closing unused Credit Card Accounts. Why would they do that? And why does it matter to you? First, they do it because every open account costs them something. It may not be much, but they still have to process the data and maybe even send out a statement. Many have moved to not sending out statements on accounts that haven’t been used, but some still do. Most importantly, any open account is an open credit line. It’s a potential liability for the credit card company. If you go from having no balance to maxing out a 5000 card, you’ve just added $5000 in liability to the company’s bottom line. Not to mention that doing so is a likely red flag for impending financial trouble and that makes the liability a risky liability. Any way you look at it, that isn’t good for the company. Of course, if you continue to not use the card, it really doesn’t cost them much. It’s just the potential that they are not willing to risk. It’s a sign of increasing risk aversion on the part of the credit card companies. So, why does all this matter to you? Part of your credit score is based on your credit history. The longer you have had an open account, the better it looks on your credit report. It’s a sign of good credit management. 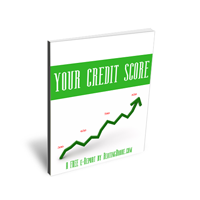 Another part of your credit score is the ratio of available credit to credit used. So, if you have a $5000 credit line, and have only used $2500 of it, it looks better than if you had a $2500 credit line and had used $2000 of it. If you have a credit card that you aren’t using, it’s adding to that unused portion of your available credit. That’s good for your credit score. But if the credit card gets closed, you don’t have that unused credit available anymore and your ration goes down. And so does your credit score. In both cases, the dip in your credit score is likely to be fairly small. And it is likely not a huge problem. But it is something you should be aware of if you had been planning on applying for any type of loan and have had a dormant credit card closed recently. Also, if you are holding a card that you haven’t used recently and doesn’t have a balance, and want to keep it from closing, you can make a purchase with it once every couple of months to keep it active. Just make sure to pay it off right away.